To help us push Bulk Powders past the category norms of Sports Nutrition, we wanted to demonstrate how using Bulk will benefit people not just physically, but also psychologically. The most compelling way to articulate the physical gains is to dramatise the psychological effects of increased performance - both on the individual customer and those he comes into contact with... Like a sleazy Car Salesman for instance. Bulk Powders aren't just for the body, they're for the mind. When you look good, you feel good. When you feel good, you can do anything. Anything at all. Without qualification. 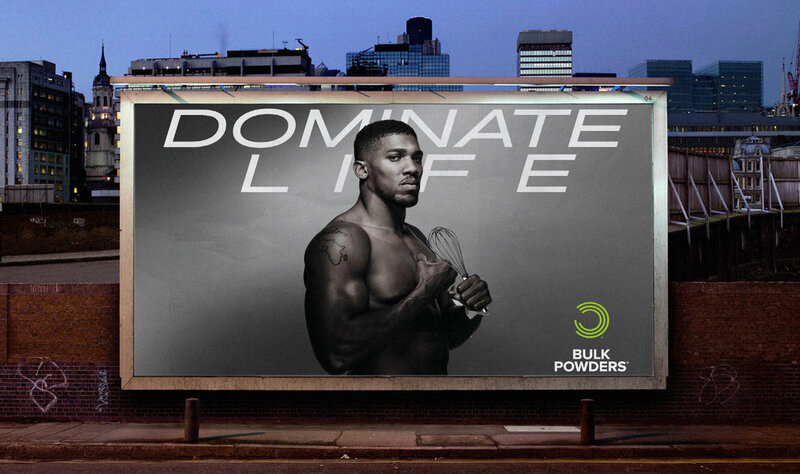 To hammer this home, we created this series of Instagram "Life Advice" films using Bulk's celebrity ambassadors (AJ, Tom Daley, Lucy Watson, Jonathan Joseph & Lucy Meck) to give people completely earnest and wholly useful tips on how to Dominate Life itself with Bulk Powders.